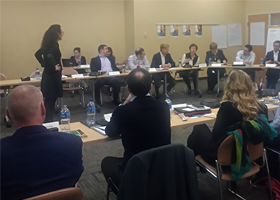 On the 21st of February in Highland Heights, the North America Leadership got together with great curiosity to learn about the New Leadership Model and the Key Principles defined to guide our behaviors towards to the future success of our organization. The leaders were eager to better understand how they could implement our values in the continuous process of integration they are leading in the region. 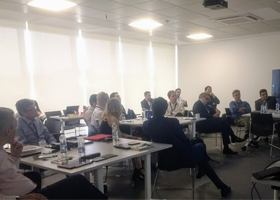 The flow of the training quickly drove the group into a great discussion around the continuous development of our people while navigating an especially complex cultural environment where legacy GC, PG and Draka cultures merge. Said Rebecca Mesnil, North America Marketing & Communications Leader. After a full day of powerful interactions, the team had a common view of the importance of our new Leadership principles, committed to communicate clearly to their teams what is expected of them while raising the bar and keeping their employees engaged in this journey of integration.